25pc. 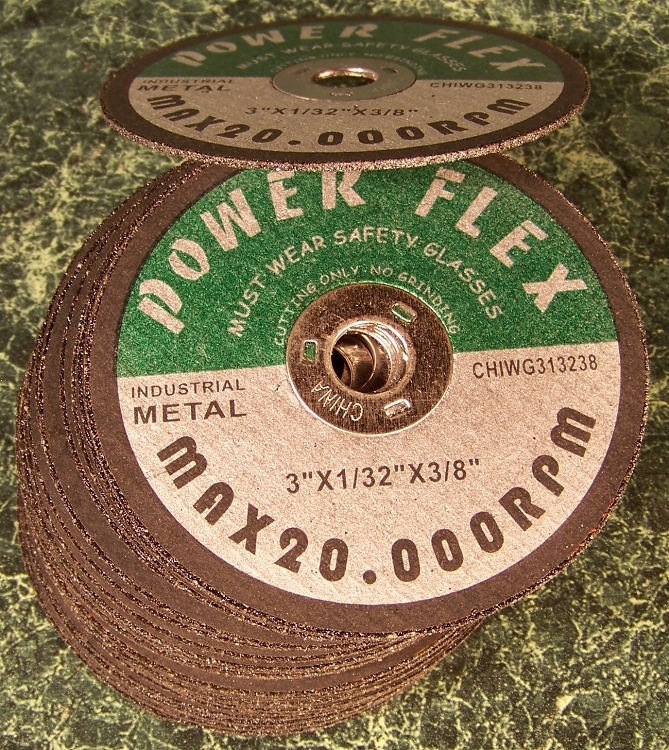 3" x 1/32" (thick) x 3/8" (arbor) CUT OFF WHEELS. The price is for 25 wheels. For use in cutting metal. Most commonly used on 3" Air Cut Off tools.